Be the first to share your favorite memory, photo or story of Tammy . This memorial page is dedicated for family, friends and future generations to celebrate the life of their loved one. Tammy Elizabeth Wurts, 55 of Ashland, KY passed away Wednesday, April 18, 2018 at Community Hospice in Ashland. She was born September 27, 1962 in Youngstown, Ohio, a daughter of the late Herman Begeot and Diane Hill. In addition to her parents, she was preceded in death by her husband Paul Wurts; brother Herman Begeot, and a granddaughter Rebecca Ann Young. Tammy was a member of the Moose and Eagles in Ashland, KY. Surviving are her daughters; Samantha Diaz, Rikki Wurts and her siblings; Doug Begeot, Lynne Garner, and Terri Malone. 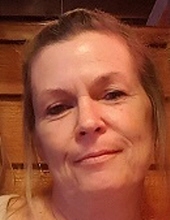 She also leaves behind to mourn her loss five grandchildren; Christopher Young, Kaden Diaz, Teigan Perrock, Kolson Diaz, Liam Wurts and a host of family and friends. As per Tammy’s wishes, she will be cremated and there will be no services at our funeral home. To plant a tree in memory of Tammy Elizabeth Wurts, please visit our Tribute Store. "Email Address" would like to share the life celebration of Tammy Elizabeth Wurts. Click on the "link" to go to share a favorite memory or leave a condolence message for the family.